The continual training of our staff is a key priority as we continually strive to improve the experience of support and care. Every member of staff undertakes a comprehensive induction so that all staff gain an understanding of the various challenges residents may face. We are rightly proud of this programme which has recently been accredited by the Open College Network following rigorous independent verification of the course content. Following the induction staff join our monthly ‘new staff support forum’ which supports everyone through their 6 month probation period. This ensures each member of staff fully understands their role and the high expectations in our homes, supports them in gaining qualifications and highlights what other training or support can be offered. We have a dedicated team to plan and coordinate the continual training of our care staff, both within the homes and in our dedicated training suite. 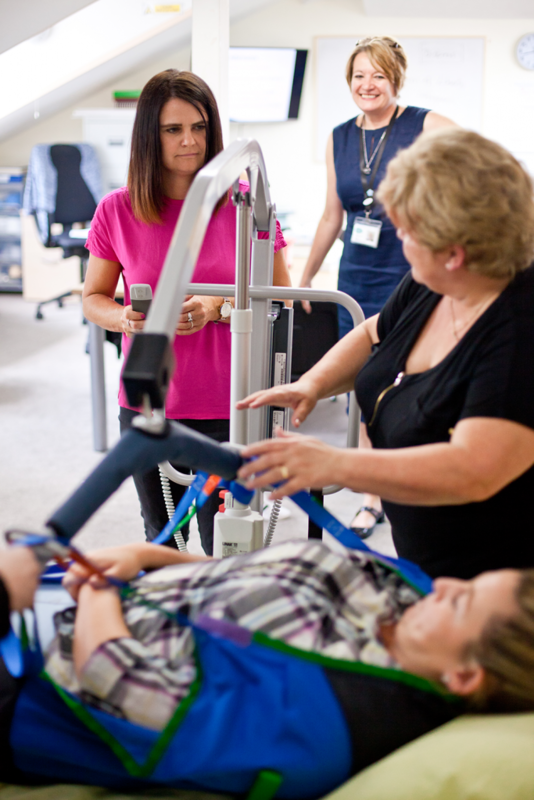 They offer one to one support, supervisions and formal courses to ensure training is tailored for staff to respond to the ever-changing care needs of our residents. Families are often welcome to join any training sessions which they might find of interest and they are also to suggest any training they would like at family forums. Please talk to a Home manager to find out more. Every year our staff forum are invited to suggest a topic for an additional days training across all the homes, for example last year this was on Mentoring and Staff support. Staff are also encouraged and supported to attend many external training courses, and distance learning courses.